"Perfect, found insurance for my van £300 cheaper than the renewal." Designed to protect you as a courier as well as your van and its cargo. Cover for specialist items that wouldn’t normally be protected by a standard policy. Pickup cover for private or commercial use, depending on your needs. Protecting your van and its cargo for when your van is essential to your business. A policy tailored for vans owned by a company and the different risks they face. Van insurance is an insurance policy that’s designed to cover your van against risks such as fire, theft and damage. Whether you have a van as a run-around or you use one as an integral part of your business, van insurance protects you against potential losses so you're not left out of pocket following an incident. There are different levels of cover, but at the very least a van insurance policy covers damage and injury to any third parties as a result of an accident. A comprehensive policy offers protection for your van, yourself as well as other people and their property. For added protection, you have the option of upgrading your van insurance policy to cover any tools you keep or cargo you transport. Basic van insurance policies come with various benefits and limitations such as contents cover, mileage limits and usage restrictions (depending on the provider). If you plan on using your van in connection with work or business, you’ll need to disclose this to your insurer. If you’re using your van to transport dangerous, hazardous or valuable cargo, a goods in transit policy could be for you. It can cover specialist items that wouldn’t normally be protected by a standard policy, and offer assistance if they’re lost or damaged in transit. If you’re using your van to deliver other people’s goods, a courier insurance policy could offer you the protection you need. It's designed to protect both couriers and their packages, and can cover high value items and long-distance travelling. Most insurance companies classify a pickup truck as a van rather than a car because of their long wheelbase and regular use with work. You'll still have the same cover options to choose from, regardless of whether you use your truck as a social or a work vehicle. When getting a quote, you'll be asked about how you use your van. You’ll need to choose one of the three options below, which could impact both the level of protection you receive, and the amount you pay. Social only - If you don't use your van or pickup for anything work related, you’ll only need social cover. Own goods - If you’re using your van to carry your own goods, tools and other work equipment, a commercial van policy might suit you best. Different insurers may offer varying levels of cover for your van and its contents, which you should compare before you buy. Haulage - If you use your van to transport other people’s goods, or get paid to move cargo, you’ll need a policy that covers you for haulage, such as courier or goods in transit cover. Once you’ve entered all your details, you’ll be able to compare prices at a glance and choose which policy best suits both your needs and your budget. For more information about van insurance, take a look at our collection of tips and guides. By comparing quotes from our selection of insurers, we can help you find a great price for your van insurance. But finding the right policy is about more than just the cost. Your van size, specification and daily use. The type of van you own will be taken into account when insurers calculate insurance prices. Everything from it's size, engine capacity and number of seats can impact your premium. You'll find more information in our guide to saving money on van insurance. The drivers, their experience and driving history. You'll find insurers charge higher premiums when insuring young or inexperienced drivers, or those with a history of accidents or traffic violations. If you fall into these categories our guide to cutting your van insurance costs could help you save money. Unique risks and expensive or hazardous cargo. The work you do with your van could determine which type of policy will suit you best. 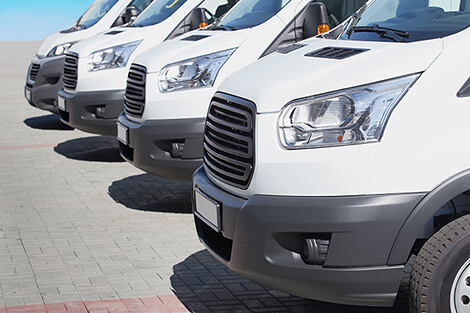 Commercial van insurance may cost more than a regular policy, but will cover you for using your van in connection with work. Similarly, if you regularly carry valuable or hazardous items, you may need the additional protection of a courier insurance policy. Having the right cover in place in the event of an accident could minimise its impact on you, your customers, your business and your income. When getting a quote, you'll be asked how you use your van and we'll show you quotes that cover your selection. The size of a van can really affect the cost of its insurance. 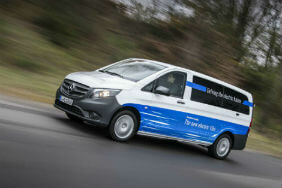 Generally, the larger the engine and / or physical size of the van, the more expensive your premiums will be. So, if you’re looking for cheap van insurance, then choosing a smaller vehicle could help save a few pounds. Building up a no claims bonus can help prove to an insurer that you’re a safe driver and they may reward you with a cheaper premium. If you’re a member of a recognised trade federation, let your insurer know. Some offer discounts to members of these organisations. Increasing your voluntary excess can help bring down the cost of your van insurance, but you’ll be paying out more if you need to make a claim. Increasing the security of your van may also help lower your premium. By adding anti-theft devices, you’re lowering the risk of your van being stolen. When you compare van insurance quotes, it’s worth considering factors like your annual mileage. As a general rule the less you drive your vehicle the less you pay which could bring down the overall price. When your policy is about to run out, don’t auto-renew. Instead, always compare van insurance quotes online to find the best deal.